Would you believe it if someone told you licorice can be good for you? Probably not, but it's true! 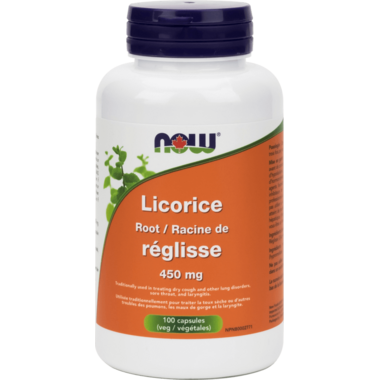 Licorice has a long history of medicinal use in Europe and Asia and remains a popular herbal remedy to this day. Licorice has been used in ancient Greece, China, and Egypt, primarily for ailments of the upper respiratory tract. In Chinese medicine, licorice is believed to benefit Qi, reduce "Fire Poison" (e.g. sore throat), and diminish "heat'. A handy vitamin to reduce and prevent the symptoms of a sore throat, dry cough and various lung disorders. This is the only thing that helps excema on my hands and feet. I always keep a bottle on hand for flare-ups. Don't know if this is working to improve my mood or not but it is not a difficult pill to take.